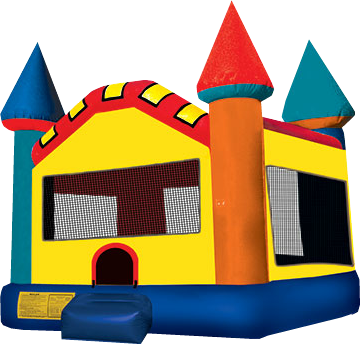 The Castle A Frame FunJump is just like our Castle FunJump but with its bigger size it will not only be fit for princes and princesses but also for kings and queens. The colors of this jump will cordinate with almost any theme. The weight limit for this jump is 500lbs. This rental's based price is for 6 hours. If additional rental time is needed we do offer overnight rental which is 25% extra.